Futuristic Technology to Rule the World’s Oldest Motorcycle Race. Ever since the first running in 1907, the Isle of Man TT has been revered as the world’s most demanding test of both man and machine. Held not on some finely groomed racing circuit but instead on a 37.73-mile loop of public roads that carry competitors up and over Snaefell Mountain, the TT pushes the limits of possibility like no other event. What better place to put cutting-edge electric motorcycle technology to the test? 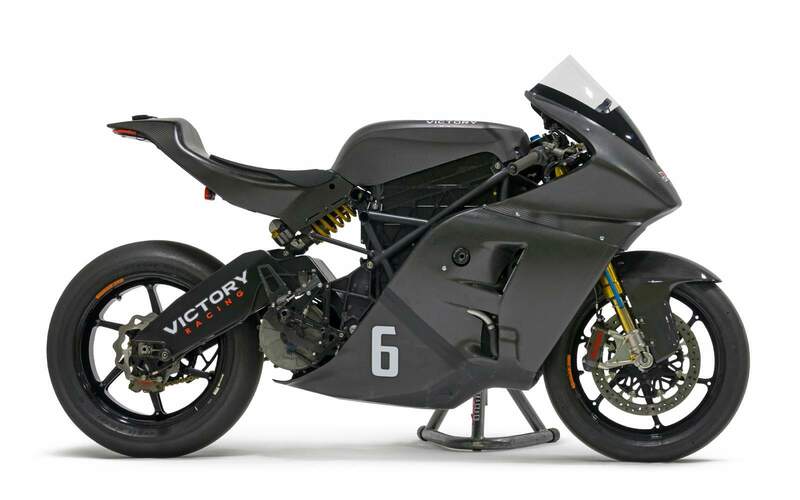 Victory Racing returns to the Isle of Man in 2016 to compete in the zero-emissions TT Zero racing event, this year with an all-new, all-electric Victory RR racing motorcycle that will be piloted by TT veteran William Dunlop. Now with a more energy-dense battery module and an optimized motor capable of producing 0-60 times under 3 seconds and top speeds in the range of 160mph, the RR is set to deliver an undeniable dose of Modern American Muscle to this very international event. 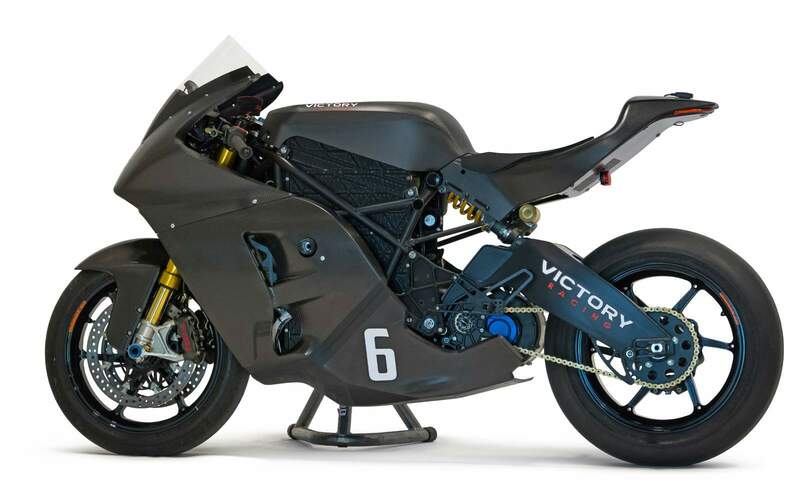 Just like at the Pikes Peak International Hill Climb in the USA, Victory Racing participates in the TT Zero to test the latest technology and prove performance, paving the way for new developments that will improve the next generation of Victory production models like the allelectric Victory Empulse TT. In 2015, Victory put their Empulse RR on the TT podium and for 2016, they envisage doing the same. The year passed with the R&D team improving on the previous bike using the input and data collected by William Dunlop. However, the new machine is also integrating both battery and powertrain technologies that are superior to those used in 2015. 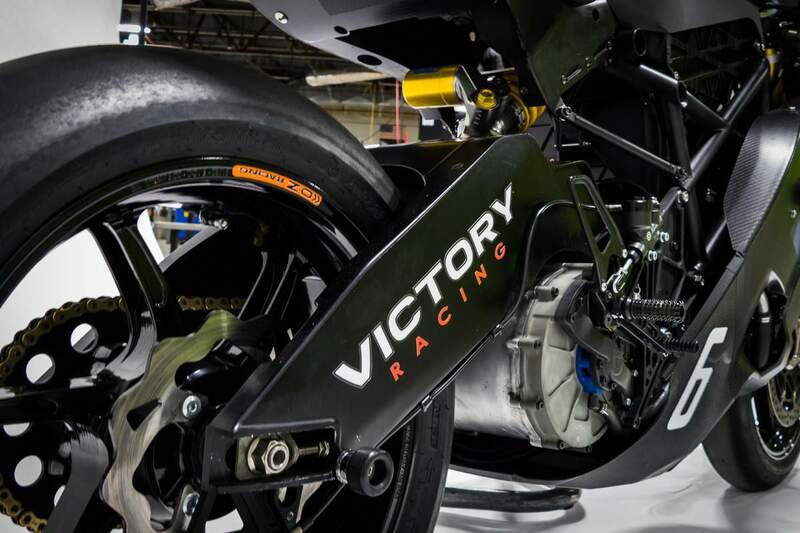 Victory Racing team manager Brian Wismann says that the battery pack was redesigned from ground level and demanded, in turn, a redesign of the chassis. The Empulse RR had a twin spar aluminum frame, whereas the Victory RR now boasts a steel trellis one. "The battery itself is an improvement in both the overall energy / capacity we’re carrying on board the bike, as well as a marked improvement in the energy density of the battery itself," Wismann adds. Parker GVM, the motor of the Victory RR was developed with Parker Hannifin and is only 8" in diameter and 5" long (20.3 x 12 cm). Still, it produces 174 hp and 240 Nm (176.9 lb-ft) of torque, with a peak efficiency of 97 percent, giving Victory high hopes for a great race at the Mountain Course. 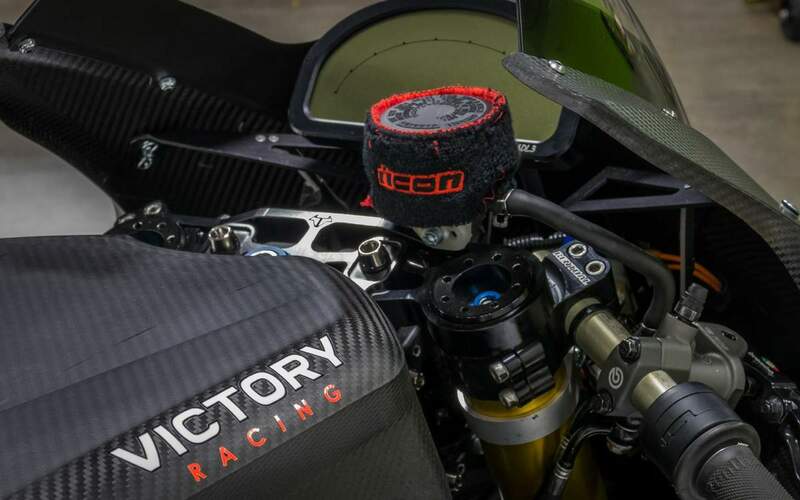 William Dunlop will once more be at the helm of the Victory electric bike. 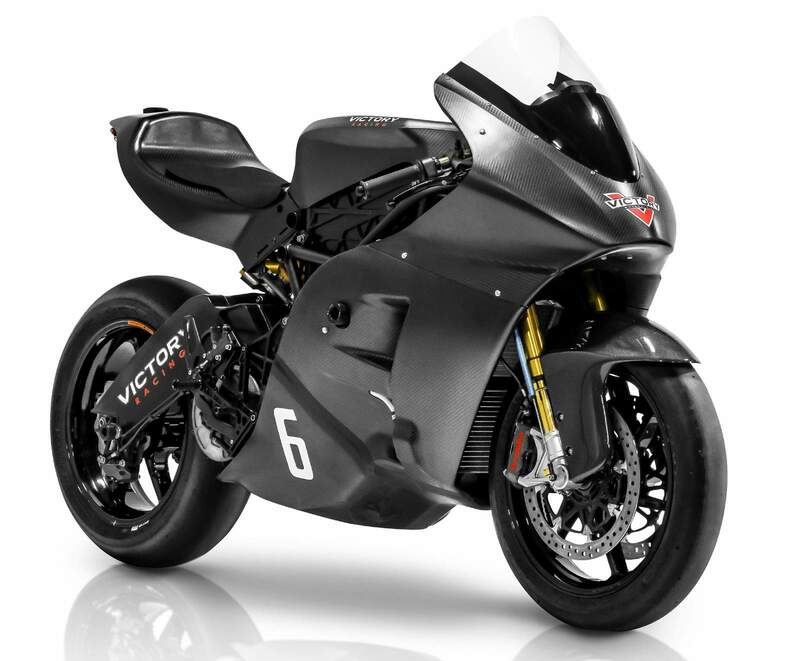 The battery and motor technologies will also serve as a basis for the future road-going motorcycles, Victory says. "With the Victory RR we are leading the way to batteries that will provide more performance, greater range and less cost in future vehicles.We feel like we can return to the TT with more performance as well as being able to test this technology for our future products," Wismann concludes.